Are China’s IP policies hindering America’s global competitiveness? To find out who is responsible for the demise of American competitiveness you only reflect a mirror against U.S. innovation policy. For example, China has established courts that specialize in intellectual property litigation so litigants have an experienced, fast and cost-effective forum to resolve patent disputes. These specialist courts take about 10 months to resolve patent infringement lawsuits with litigation costs running at approximately $200,000. In contrast, patent litigation in the U.S. often takes five or more years to resolve with litigation costs running in the many millions of dollars. A fairly ordinary dispute when litigated in the U.S. can easily surge past $3,000,000 when you factor in the inevitable post grant challenges (each of which will run $500,000 to defend, sometimes more) and the federal court litigation after that. See AIPLA 2015 Report of the Economic Survey (starting at page 37). If multiple patents are infringed they will be each challenged in a post grant proceeding, which can and does easily raise the cost litigate to 10 times or more of what it costs in China. Quickly and efficiently resolving patent disputes, which address whether a patent holder has the right to exclude a competitor from making and/or selling an infringing product or which give a patent holder the right to demand patent license fees from companies wishing to use the patent holder’s intellectual property, is important to spur investment in rapidly evolving industries or in newly emerging technologies. Lower costs for litigation also ensures that capital constrained innovative startups and independent inventors have access to the court system to defend their patented inventions. This increases investor confidence to provide funding for cutting edge technologies and spurs investment in startup businesses because these nascent companies and individual inventors can protect their critical technologies against both deep pocketed incumbents and new competitors. China’s leadership is also publicly on record as continuing to focus on strong intellectual property rights and in taking steps to upgrade the Chinese patent system to support the efforts of innovative companies doing business in China. Last July, Chinese President Xi Jinping declared that his government would further strengthen the rights of intellectual property owners in China, noting that “Wrongdoing should be punished more severely so that IP infringers will pay a heavy price.” Some have questioned whether this philosophy will hold long-term as Xi Jinping would eventually give way to another President who would under China’s system have extraordinary powers to shift policy. That does not seem to be a worry any longer. The Wall Street Journal this week reported that term limits on Xi Jinping will be removed, effectively allowing him to stay on as President indefinitely. China’s focus on strengthening patent rights is borne out by Chinese litigation statistics. Last year in China, 84% of patent holders won their patent disputes with infringers, and virtually 100% of the foreign firms that filed patent suits in Chinese courts and proved infringement were also granted injunctive relief (thus preventing an infringer from making, importing or selling an infringing product in China). See Why you should protect and enforce your IP in China. China’s decision to strengthen its patent system reflects a sound pro-business policy for very good reason. Patents and a strong patent system attract investment in new technologies and businesses as evidenced by the fact that today, nearly half of all global venture capital is invested in Chinese companies. Compare those statistics to the U.S., where the previous administration signed into law the inaptly-named America Invents Act that created patent administrative review panels (the Patent Trial and Appeals Board) which provide infringers with another avenue to challenge issued U.S. patents. Last year, the PTAB invalidated or forced patent holders to grant low or no cost licenses (due to the high probability of invalidation) in over 90% of the patents that were reviewed by these administrative panels. In addition, patents challenged in federal district court as claiming unpatentable subject matter were invalidated 67% of the time. The vast majority of these invalidated U.S. patents would have been deemed valid under current Chinese patent law, and some of these invalidated patents do actually remain valid and enforceable in China, Europe and elsewhere throughout the world. See Turning Gold to Lead: How Patnet Eligibility Doctrine is Undermining U.S. Leadership in Innovation (at page 17). In contrast to China’s strong patent system which has led to significant venture capital inflows into that country, America’s patent system – which has been weakened by the patent “killing fields” of the PTAB and by multiple anti-patent decisions from the Court of Appeals for the Federal Circuit (CAFC) and the U.S. Supreme Court – has seen a 62% decrease in venture capital investments in early stage companies and a 40-year low in startup business creation in the U.S.
Compounding the problem for American early stage businesses and innovative startups is the fact that it is nearly impossible to obtain an injunction in the U.S. to stop an infringer from selling an infringing product. Instead, U.S. courts require patent holders to grant a compulsory license to infringers often at below market value due to several decisions from the CAFC that have severely curtailed the size and scope of patent licensing fees available to patent holders. Stated another way, a patent holder in China has an 84% chance of protecting their patented invention, quickly obtaining injunctive relief, which can completely shut down the infringing activity and securing patent licensing fees that reflect the true market value of their patented invention. Meanwhile, a patent holder in the U.S. has a nearly 90% chance of losing their patent claims to an invalidity challenge. And even if a patent holder can avoid having their patent claims invalidated, the best they can hope for is being forced to grant an infringer a compulsory license to their patent in exchange for licensing fees that do not necessarily reflect the true market value of the patented invention. American companies often complain that China’s intellectual property policies require them to transfer their technology to Chinese partners in order to do business in China putting them at a competitive disadvantage in China. But that complaint misses the real problem. China’s focus is not solely on its domestic market. China’s focus is also on the global marketplace and the U.S. is the largest of those international markets. Because America’s patent system is so ineffective against infringers, Chinese companies can use appropriated American-developed technology to export infringing products made in China back into the U.S. markets. Even worse, if a Chinese company is held accountable for patent infringement, the worst that can happen (because of the compulsory licensing system mandated by U.S. patent law), is that the Chinese infringer pays the American patent holder a licensing fee (which almost certainly will be lower than true market value). Given the advantages in manufacturing costs that Chinese companies have over American competitors, as well as easy access to capital provided by state backed institutions, paying a patent holder a licensing fee is really no impediment at all to Chinese companies selling infringing products back into the United States. The end result of all this is that the current state of the patent system in America puts American companies and jobs at risk from the very same technology that was developed by American innovation! While the Trump Administration should continue its investigation into Chinese practices regarding intellectual property, it must also undo this country’s failed patent policies that have directly led to and will continue to result in America’s significant decline in global competitiveness. While it is important for every country to play by accepted international norms, if President Trump wants to find out who is responsible for the demise of American competitiveness he need only reflect a mirror against U.S. innovation policy over the last decade. The problem, and therefore the solution, comes from within. Meh … fixing the US patent system will put a dent in their (obscene) profit margins. However, these companies will still be hugely profitable for some time to come. The likes of Google, Amazon, Apple, Facebook have incredible market share that will take time for competitors to shake loose. Ultimately, they will assuming that the patent system provides these competitors a platform to protect their innovations. Regardless, none of this is happening overnight. Romo wasn’t built in a day, and it wasn’t destroyed in a day either. I can say that not fixing the patent system will only permit the likes of Google, Facebook, and Apple to have unfettered access to the intellectual property of most others and combined with their current market share will make it nearly impossible to break their choke-holds on their respective markets. If people want Google and Facebook to rule the technology world for the foreseeable future, then they should continue to advocate for a weak US patent system, which is what we have now. Alas, it’s not gonna happen ..
That is not true. We know that prior to things getting off kilter several years ago even huge patent infringement damages awards did nothing to profitability and nothing to stock price, save a few stocks like Rambus where every piece of news swayed investors. It is important to remember that when huge patent verdicts or settlements were made stock price was never affected and price point of products/services were not affected either. The infringement was already factored into the sales price of both products/services and stocks. Apple posted a profit of $48B in 2017. Even a $100M judgement is a drop in the bucket. Additionally, should patent holders start coming out of the works, expect to see a lot of quick settlements. There are only so many $100M+ judgement cases out there, and the big guys would soon learn to adjust their risk profile in litigation so that they rarely go all the way. Today, it makes sense, from a risk perspective, for these guys to go all the way since the percentage chance of a patentee winning a substantial judgment is close to zero. Moreover, these companies will adjust by not blatantly co-opting other companies IP. This will allow for more competition which ultimately will put pressure on their profits. However, it certainly won’t be something that happens overnight. That happens with penny stocks. Not going to happen with any of the big guys. The big tech stocks will fall if exclusive patent rights are restored. Period. >>The big tech stocks will fall if exclusive patent rights are restored. Period. This is definitely true. The reason the big companies don’t want patents (other than a strange new form that they can use to bully small companies) is to keep their monopolies. The Google founders even said in a documentary that their biggest fear was a start-up that figured out a better way to do search. Google is probably most vulnerable as they get 80-90 of their revenue from ad money. And if you look at Google they had one good idea to start the company and have taken everything else they do from another company. angry dude@1: If what you mean by “fixing the US patent system” includes restoring injunctive relief, I would agree that your argument/claim has merit. I don’t think an adverse eight (or even nine) figure damages award would materially affect the stock price of a company in the Big Tech cabal. But the threat of an injunction – shutting down a multi-billion dollar product line and allowing competitors to fill the void and permanently steal market share – should have a significant effect on equity valuation. As you pointed out, RIM’s stock price popped by 20% once the market got over the very real threat/fear that Blackberry devices were going to be enjoined from sale. As an aside, thank you for meaningfully contributing to the discussion on this topic and for not just being an angry dude. I like the new you much better! Just want to echo what Bemused said about an 8 or 9 figures damages award affecting the stock price of one of the tech super giants. As we recently explained, the size of Standard Oil pales in comparison to the tech super giants. Apple has net income annually nearly $50 billion. All of the tech super giants are sitting are extraordinary piles of cash off shore (in the hundreds of billions). Definitely true that patent awards are not going to affect their stock price with the given patent system. They can take anything and may have to pay some small amount. Now, anything that gets traction is bought as if no IP rights or duplicated/copied. If they decide to drop a supplier from future models and publicly announce it (after market closing) then guess what happens to supplier’s stock price ? Well, to be sure the last administration was hostile to the patent system, although the AIA was a bi-partisan cluster-foxtrot. BTW, Paul, Gene – I have oral argument b/f the CAFC Wednesday, 4/4 on a 101 rejection. It will be my argument that the USPTO cannot merely make a 101 rejection based on ipse dixit declarations. The PTAB declared there was no evidence for three different features, and reversed the Examiner’s 102/103 rejections, but maintained the 101 because, you know, those same limitations are routine and conventional. Point out that the evidentiary burden not only does not “go away,” but that burden is to a type of state of the art (hence, per APA and the Office own guidelines***, can NOT be satisfied with any taking of “Official Notice”), that actually requires MORE evidence. “Conventional” means widely adapted or in use. The typical “tool” of the Office (granted patents and published patent applications) are NOT the sufficient type of evidentiary proof that is required. ***these instruments control expressly because examination is done in an executive branch capacity and is expressly NOT an Article III court (wherein such an Article III court may attempt to get away with making law through common law evolution). That is just not a power of the administrative agency of the USPTO of the Executive branch for the statutory law that is patent law. By the by, Tafas is still controlling law. 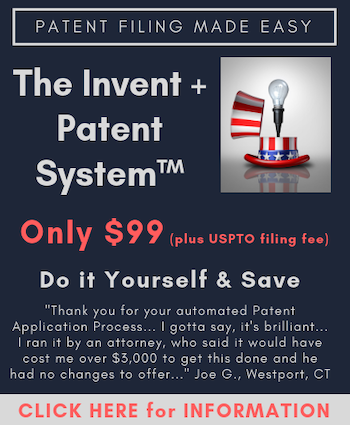 A lot of US patent system problems would vanish if the US reverted to a system of first inventor, secret patent application, and 17 year term from date of issue. I would modify the rules giving an inventor an invention date before the earliest priority filing date if and only if he can demonstrate a (diligently maintained) blockchain ledger from the date of conception. The USPTO should offer a blockchain-based virtual engineering notebook service. A lot of talk about compulsory licenses in this string. I agree, but if we are stuck with these compulsory licenses, should we not also consider the statute? After a final judgment of no invalidity and infringement how can continued infringement be ANYTHING other than willful infringement, so the infringer can continue to infringe, but the royalty must be treble damages, and attorney fees any time the patentee has to hire a lawyer to make sure royalties are paid in full and on time.